Regency Healthcare and Rehabilitation Center’s new Administrator, Tina Larose, knows what families are looking for in choosing a skilled nursing or rehab center. Larose, who began her job at Regency in June, should know what it takes to operate a great nursing center. She wrote a book about it. In Coaching Natural Attitudes, the Wilmington native explains how empathy, enthusiasm and an understanding of a healthy and positive attitude are at the heart of healthcare. Larose earned a PhD from Capella University with a dissertation on prosocial behavior as it relates to why people serve. Regency is part of Nationwide Healthcare Services, which also owns and operates Regal Heights Nursing and Rehabilitation in Hockessin and is developing a wellness village including another nursing and rehabilitation center in Milford in southern Delaware. 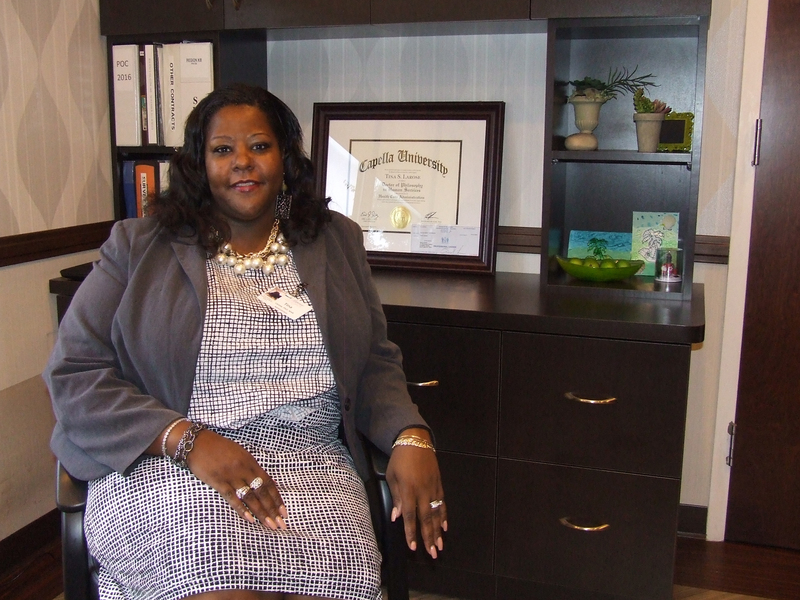 The extra knowledge – plus Larose’s experience formerly serving as administrator at another nursing and rehab center in Wilmington – allows her to bring different management styles and perspectives in managing the facility and the people who work there. Regency has been a consistent high quality performer. Larose sees her job as maintaining that momentum. “That means keeping residents happy and ensuring that all care services are covered. Building the relationship between residents and staff and staying committed to quality care are the keys to making happy residents,” Larose said. While keeping residents healthy through personal attention is the primary mission, Larose said ensuring residents’ happiness is a priority as well, so special activities are part of the program. Larose’s book, Coaching Natural Attitudes, is endorsed by the National Council of Certified Dementia Practitioners. Potential residents can visit and tour Regency and receive a free signed copy of the book if they like. Nationwide Healthcare Services, LLC is a progressive, innovative and expanding Healthcare Management Company of Nursing & Rehabilitation Centers with facilities located throughout Delaware and Pennsylvania committed to excellence. Nationwide Healthcare Services has been delivering exemplary health care and services for over 28 years. For more information, please see www.nationwidehealthcare.com.